Earlier this week, we learned that former NFL star Greg Hardy, who has a history of domestic violence, will be sharing the Jan. 19 UFC on ESPN+ 1 card with Rachael Ostovich, who is a very recent survivor of domestic violence. This news was met with immediate backlash, as many members of the MMA community criticized the UFC for putting the two fighters on the same card. 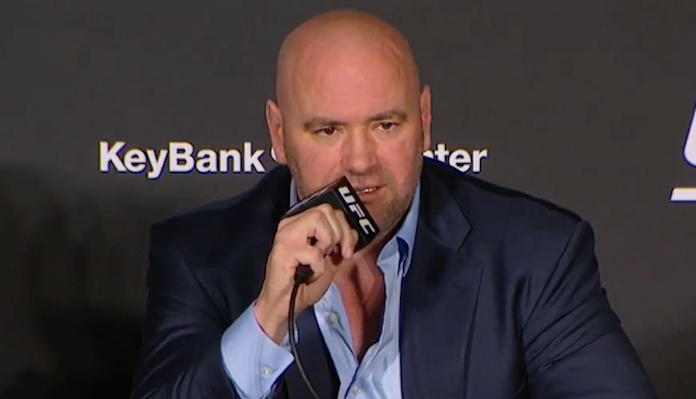 On Thursday afternoon, TSN’s Aaron Bronsteter asked UFC President Dana White about the controversial decision to put Greg Hardy and Rachael Ostovich on the same card. When Bronsteter pushed White for more, the UFC President said that he had spoken to Rachael Ostovich about adding Greg Hardy to the card, and apparently received her blessing. Dana White later clarified that, for a time, he did not expect Rachael Ostovich to be on this card due to the injury she sustained when she was attacked. What do you think of this explanation from Dana White?